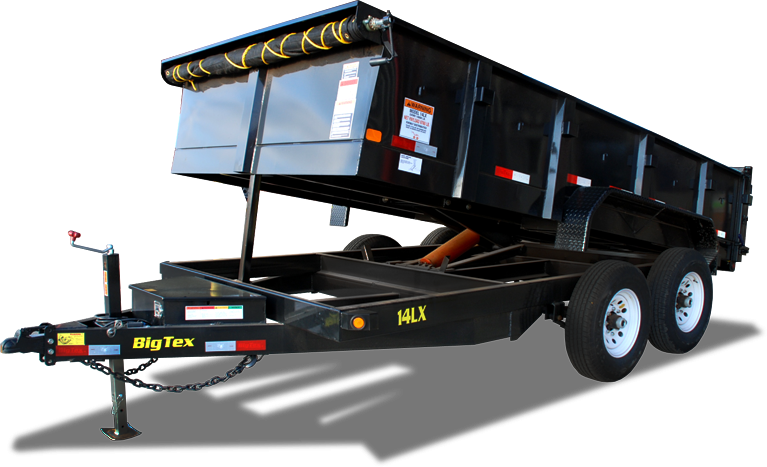 The 25DU Dual Tandem Gooseneck Dump Trailer from Big Tex Trailers is the Heavy Duty dump trailer that you want to use on a daily basis. This powerful dump uses a massive scissor lift to unload its debris and has Dexter's oil bathed mega axles underneath to keep your load rolling down the road safely. With 4' sides, this unit is designed to handle any load of trash, sand, gravel, and its even equipped with 8' ramps so that you can load your equipment inside for transport. IT CAN HAUL THE MOON!! Our price includes a free spare tire!